The award-winning Cisco 2800 Series routers, ideal for small to medium-sized businesses and enterprise branch offices, are designed for wire-speed delivery of highly secure concurrent services and can accommodate multiple T1/E1 connections for services including data, security, voice, video and wireless. The integrated services routing architecture of the Cisco 2800 Series provides the performance, availability, and reliability needed to scale mission-critical business applications in the most demanding environments. 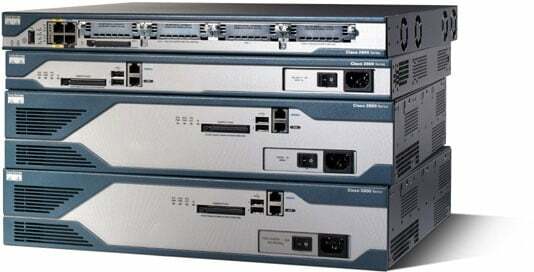 The Cisco CISCO2821-SEC/K9 is also known as CSC-CISCO2821SECK9	or CISCO2821SECK9	.